The eighteenth dynasty of ancient Egypt (Dynasty XVIII) (c. 1543–1292 BC) is the best known ancient Egyptian dynasty. 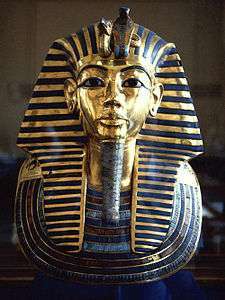 It boasts several of Egypt's most famous pharaohs, including Tutankhamun, whose tomb was found by Howard Carter in 1922. The dynasty is also known as the Thutmosid Dynasty for the four pharaohs named Thutmosis (English: Thoth bore him). 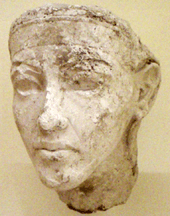 Famous pharaohs of Dynasty XVIII include Hatshepsut (c. 1479 BC–1458 BC), longest-reigning woman-pharaoh of an indigenous dynasty, and Akhenaten (c. 1353–1336 BC), the "heretic pharaoh", with his queen, Nefertiti. Dynasty XVIII is the first of the three dynasties of the Egyptian New Kingdom, the period in which ancient Egypt reached the peak of its power. The pharaohs of Dynasty XVIII ruled for approximately two hundred and fifty years (c. 1550–1298 BC). The dates and names in the table are taken from Dodson and Hilton. Many of the pharaohs were buried in the Valley of the Kings in Thebes (designated KV). More information can be found on the Theban Mapping Project website. Several diplomatic marriages are known for the New Kingdom. These daughters of foreign kings are often only mentioned in cuneiform texts and are not known from other sources. The marriages were likely a way to confirm good relations between these states. Dynasty XVIII was founded by Ahmose I, the brother or son of Kamose, the last ruler of the Dynasty XVII. Ahmose finished the campaign to expel the Hyksos rulers. His reign is seen as the end of the Second Intermediate Period and the start of the New Kingdom. 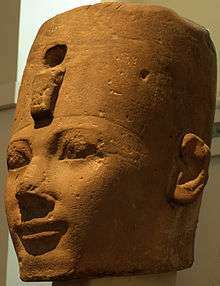 Ahmose was succeeded by his son, Amenhotep I, whose reign was relatively uneventful. 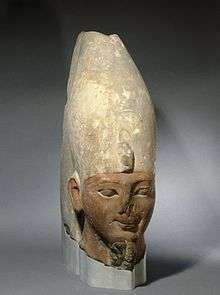 In the fifth year of his reign Amenhotep IV changed his name to Akhenaten and moved his capital to Amarna. During the reign of Akhenaten the Aten—the sundisk—first became the most prominent deity, and eventually the Aten was considered the only god. Whether this amounted to true monotheism continues to be the subject of debate within the academic community. Some state that Akhenaten created a monotheism while others point out that he merely suppressed a dominant solar cult by the assertion of another, while he never completely abandoned several other traditional deities. The last two members of the eighteenth dynasty—Ay and Horemheb—became rulers from the ranks of officials in the royal court, although Ay may have married the widow of Tutankhamun in order to obtain power and she did not live long afterward. Ay's reign was short. His successor was Horemheb, a general during the reign of Tutankhamun whom the childless pharaoh may have intended as his successor. Horemheb may have taken the throne away from Ay in a coup. 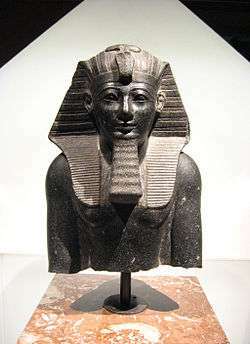 He died childless and appointed his successor, Ramesses I, who ascended the throne in 1292 BC and was the first pharaoh of the Nineteenth Dynasty. 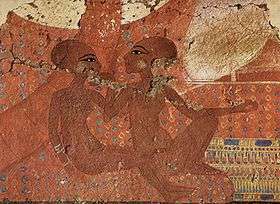 This example to the right depicts a man named Ay who achieved the exalted religious positions of Second Prophet of Amun and High Priest of the Goddess Mut at Thebes. His career flourished during the reign of Tutankhamun, when the statue was made. The cartouches of King Ay, Tutankhamun's successor appearing on the statue, were an attempt by an artisan to "update" the sculpture. Amenhotep I with his mother, Ahmose-Nefertari. Both royals are credited with opening a workmen's village at Deir el-Medina. Dier el-Medina housed the artisans and workers of the pharaohs tombs in the Valley of the Kings, from the 18th to 21st dynasties. 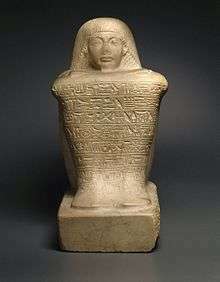 Amenhotep I and his mother, were deified and were the village's principal gods. 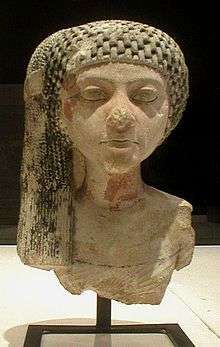 Queen Nefertiti the daughter of Ay, married Akhenaten. Her role in daily life at the court soon extended from Great Royal Wife to that of a co-regent. It is also possible that she may have ruled Egypt in her own right as pharaoh, Neferneferuaten. Queen Meritaten, was the eldest daughter of Akhenaten and Nefertiti. She was the wife of Smenkhkare. She also may have ruled Egypt in her own right as pharaoh and is one the possible candidates of being the pharaoh, Neferneferuaten. Ay served as vizier to Akhenaten, and Tutankhamun. He was the father of Nefertiti. 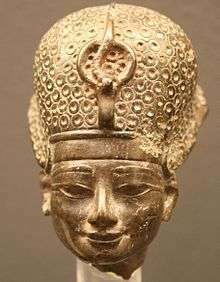 After the death of Tutankhamun, Ay lay a claim to the throne by burying him and marrying his granddaughter Ankhesenamun. Tiye was the daughter of the visizer, Yuya. She married Amenhotep III, and became his principal wife. Her knowledge of government helped her gain power in her position and she was soon running affairs of state and foreign affairs for her husband, Amenhotep III and later her son, Akhenaten. She is also Tutankhamun's grandmother.